Vocalist and guitarist Chris McCaughan is known to most as one-third of Chicago punk rockers the Lawrence Arms, the less snotty voice complementing the drunken rasp of co-frontman Brendan Kelly. 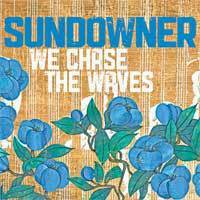 This is the sophomore release for the solo release under the moniker SUNDOWNER. The follow up to "FOUR ONE FIVE TWO" is the best songwriting yet by Mr. McCaughan.